Exploring the Birth of Jesus. 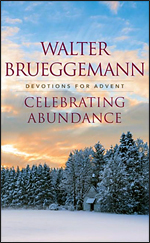 An Advent Study Based on the Revised Common Lectionary. Christmas Gifts That Won’t Break: Leader Guide. Christmas Gifts That Won’t Break: DVD. 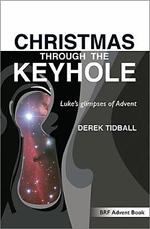 Luke’s glimpses of Advent. Derek Tidball. Advent Meditations on Biblical Prayers. Praying With the Psalms Through Advent, Christmas & Epiphany. Daily Reflections for Advent and Christmas 2017-18. That Baby in the Manger. Anne E. Neuberger. With Press-out and Play Models. Advent for Everyone: A Journey with the Apostles provides readers with an inspirational guide through the Advent season, from the first Sunday in Advent through the Saturday after the Fourth Sunday in Advent. 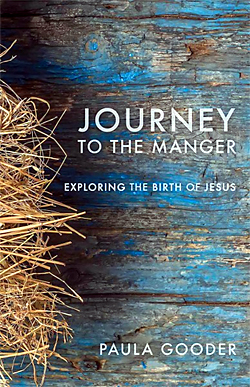 Wright’s engaging and accessible writing and imagery help us see Advent both in relation to the Bible’s message and in our own lives today. Each week discusses key themes for the season: thanksgiving, patience, humility, and joy. This book is suitable for both individual and group study and reflection. 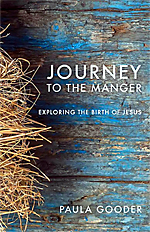 Gooder explores the New Testament’s various accounts of the birth of Jesus: their origins in Old Testament prophecies, the genealogies, the angelic announcements, the journeys and arrivals, and the aftermath of Jesus birth for the powerful and the poor alike. Engaging seriously with biblical and historical criticism, she uncovers key similarities running through the Gospel writers accounts and focuses on their shared understanding of the significant events they describe. 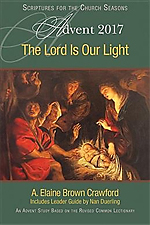 Her detailed exploration of the texts is a gold mine for preaching and teaching, and will breathe new life into the familiar Christmas stories heard year after year in churches, hymn sings, and nativity plays. Devotional reflections and discussion questions also make this ideal for personal and group study. Rooted in the conviction that greater understanding of the Bible leads to deeper discipleship, this is an essential resource for preachers, teachers, and study group leaders, as well as those who simply wish to get to know the Bible better. Crawford invites you to explore God’s hope and presence through a study of the scripture readings for Advent and Christmas. She calls us to explore our hope for new beginnings, praising God as we eagerly await the birth of Christ in our lives. Recalling the fulfilment of God’s promises at Christmas, she invites us to imagine the future culmination of our hope in Christ’s death, resurrection, and second coming. Based on the Revised Common Lectionary scriptures for year B, the study includes commentary and reflection on key Bible readings from the Old Testament, the Gospels, and the Epistles. It offers the opportunity to explore these Bible readings in a five-session study. It will help participants understand, appreciate, and engage in meaningful and joyous celebrations of Advent and Christmas and to live each day in God’s light through Jesus Christ. The study book includes a leader guide with information about the season of Advent, suggestions for starting and leading small groups, Bible background, and discussion activities. Go on an Advent journey with beloved teacher and storyteller James W. Moore, exploring the spirit of Christmas. As you light the candles of your Advent wreath, reflect on the unbreakable gifts that God has given us: hope, love, joy, and peace. And remember God’s greatest gift, who comes to us as a baby and leads us through all the days of our lives. 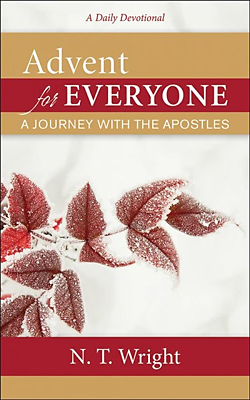 This revised edition of the popular book includes stories, Scriptures, and thoughts to warm your heart throughout the season, as well as devotions by Jacob Armstrong and a new fifth chapter for Christmas Eve/Christmas Day. The five-session DVD features Jacob Armstrong in his warm and pastoral style exploring the principles found in Christmas Gifts That Won’t Break. The video segments are approximately 10-12 minutes each and when combined with the book chapters, make an ideal five-week Advent group study. All video sessions are closed captioned. To prepare for Christmas in our society is to be sucked into a vortex of indulgence, from decor to gifts to calorie-rich foods. Layer upon layer of tinsel, lights, and wrapping paper create the illusion of abundance, disguising the feeling of emptiness in our souls. The arrival of the Messiah, by contrast, is true abundance disguised by the impression of scarcity. Training our eyes to see through the rough stable, the adolescent mother, and the anxious escape to Egypt, we can see in that poverty and powerlessness the wonder of God’s abundant life and grace coming down to dwell among us. 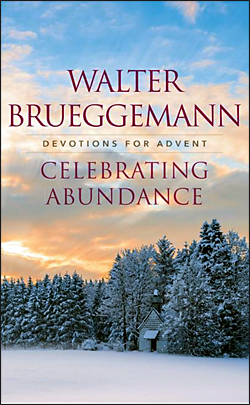 Includes daily reflections on the Scriptures and stories of Advent in order to invite us to see beyond the world’s faux extravagance and realize the true feast laid out before us. Twelve prayers are also included for the twelve days of Christmas. Dawson invites readers to explore the familiar Advent themes of hope, preparation, joy, and peace with the heavens and earth in mind. Through her powerful and personal reflections, she calls us to consider how all creation longs for the coming of Christ, taking seriously the notion that the good news of Christ is good news for all the world. 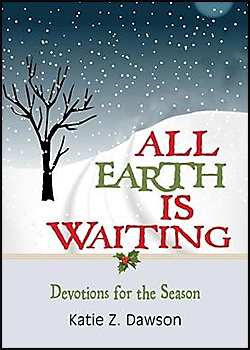 Anticipating in Christ’s birth, the reconciliation of the heavens and the earth, Dawson highlights our responsibility to care for this earth in preparation for Christ’s return. 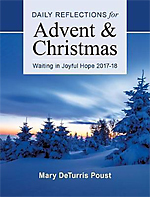 This collection of 28 Advent devotions is the perfect companion piece to the book and includes Scripture, reflections, and prayers for each day to help you prepare your heart during the season of Advent. 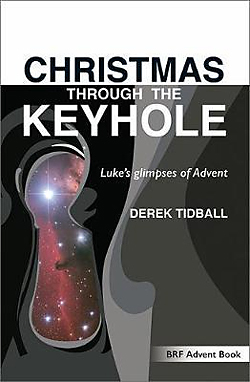 A fresh approach to the Christmas story with a focus on Jesus as the fulfilment of Old Testament promises and patterns. Simeon’s song (the Nunc Dimittis) in Luke 2:29-32. This beautiful, compact and powerful book is a brilliant way to journey towards Christmas, moving through some of the prayers of the Old Testament. Make this Advent a time to refresh and enhance your spiritual life by reflecting on some of the greatest prayers in the Bible and the people who prayed them. Abraham, Moses, Hannah, David, Isaiah, Mary . . . This sequence of twenty-five inspiring meditations looks at how our forebears in faith turned to God, both in times of trouble and times of joy and celebration. 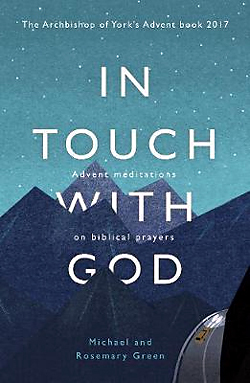 Written by two popular Christian authors, these deeply prayerful reflections on Scripture will help you get in closer touch with God throughout this Advent season and beyond into the year ahead. 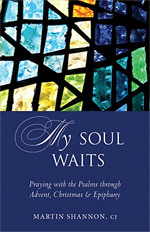 This new devotional combines the words of the Psalms, meditations from the Church Fathers and a prayer as a guide for the reader through the various twists and turns on the journey to our Lord’s Nativity. These beloved words from Scripture mirror our own thoughts and emotions-hope and expectation, suffering and patience, confession and healing-and are as relevant for the modern spiritual reader as when they were first sung in the Temple. 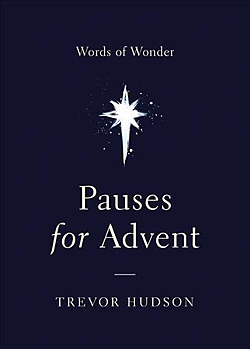 In this beautifully minimalist book, Trevor Hudson focuses on one biblical word of wonder each day of Advent. Pausing for a few moments to read Hudson’s meditations on the word for the day will guide readers to a deeper understanding of Advent. 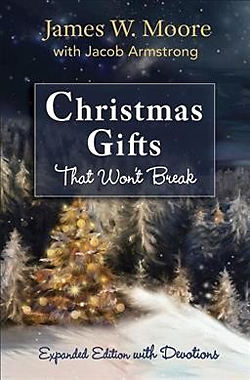 Hudson also briefly explores the lives and thoughts of 4 significant characters in the Christmas story, encouraging readers to immerse themselves in the dramatic story. His simple approach provides a doable daily practice and gently leads readers to discover how they can open their hearts and lives more generously to God. Prepare spiritually for the coming of Christ with this popular, easy-to-use annual guide. During the especially busy Advent and Christmas seasons, this book offers brief, down-to-earth reflections that bring prayer and Scripture into everyday life in a thought-provoking and lasting way. Through Mary DeTurris Poust’s insightful reflections on Scripture readings from the daily Mass, readers will grow in their understanding of the word of God. 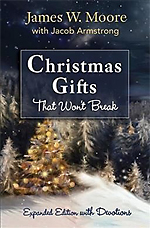 This book will help busy people achieve their goal of enriching their personal prayer life during the seasons of Advent and Christmas. A children’s Christmas picture book with a needed message about inclusion and acceptance of cultural differences. As the children of a small church struggle with the portrayal of the Holy Family in the Nativity scene as European-not Middle Eastern and not necessarily like them-they learn more about Jesus’s love for all children. 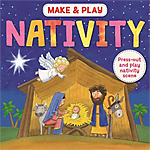 This board book tells the story of Jesus’ birth and allows readers to make their own beautiful Nativity models. The models are easy to slot together and sturdy enough to play with, and the story is perfect for children and adults to read together. 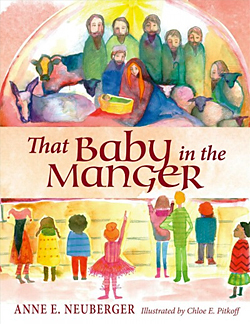 A great introduction to the Nativity story for children ages 2 and up. In Busy Nativity, children can push, pull and turn the tabs to join Mary and Joseph on their long journey to Bethlehem, marvel as a host of angels appear and see beautiful baby Jesus in his crib. 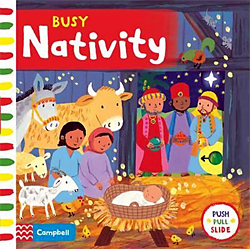 This bright and colourful Christmas board book with gentle rhyming text introduces young children to the wonderful story of the First Christmas. They will love playing with the easy-to-handle mechanisms in this bright and colourful board book with magical illustrations by Emily Bolam. 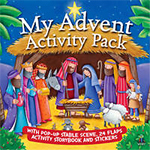 This fun activity pack includes a gorgeous pop-up stable scene – peep inside and see Jesus in the manger! The scene has 24 windows set into the base to open throughout advent. There is also a 16 page Christmas colouring book, and two sheets of fun and festive stickers. Click here for your selection of Worship, Preaching and Devotional resources for Year B – 2018 Includes Upper Room Disciplines 2018 and Fresh From the Word 2018. We have over 190 titles loaded on Trade Me, many of which are now reduced to $5.00 or less (but only while stock lasts). These are all in stock now. 50 are listed as auctions at any one time. They are all Buy Now only, so order straight away to secure your books. We have also added the eBooks we have published to our Trade Me listings. The listings last 5 days, so come back every few days to see a fresh list. Click here for our current listings on TradeMe.